Our caterpillars have climbed up onto the roof of their containers and have finally crystallised. 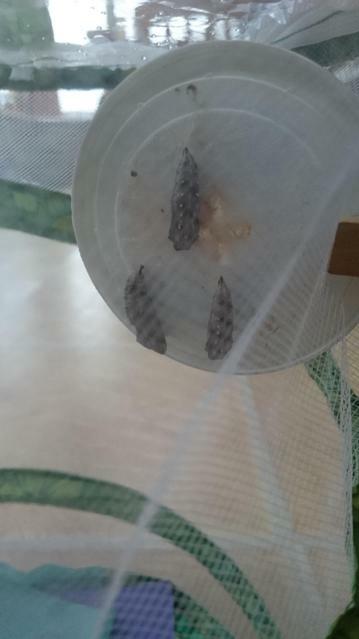 We have now moved them into the butterfly tent ready for them to transform into butterflys! This should take a week or so but in the meantime they will be holidaying with Miss Wilton. 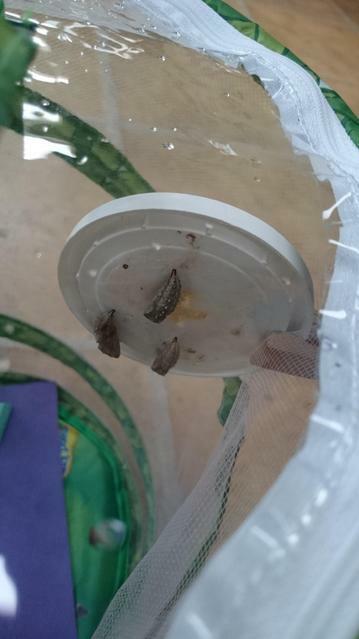 Fingers crossed that they will survive and will return to Honiton Primary as butterflys where we can set them free.